Holograms will become more colorful with this new technique. 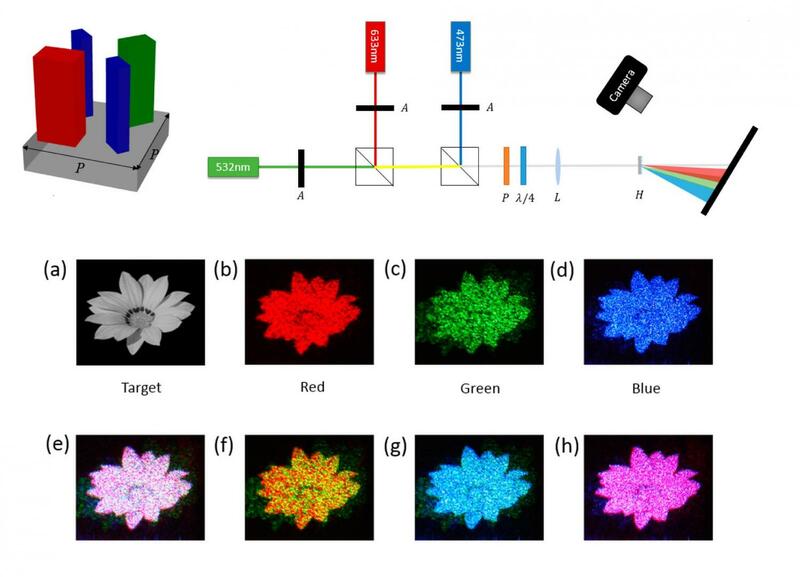 Researchers have recently shown that they are capable of manipulating visible light to create a color “meta-hologram.” They did this by arranging nanoblocks to form pixels on a metasurface. This new method is more advanced as compared to similar techniques. The researchers from Peking University and the National Center for Nanoscience and Technology in China published their study in the journal Nano Letters. The pixels on the new metasurface are made up of three kinds of silicon nanoblocks that have dimensions corresponding to the wavelengths of colors red, green and blue. You could think of each pixel as a “meta-molecule” since it acts like the basic unit of the metasurface which makes up the entirety of the hologram. Each nanoblock manipulates the phase of its corresponding color every time a red, green or blue laser hits the hologram. The researchers have found a way to minimize the interactions between the nanoblocks making them become more independent of each other. Different holographic images are produced by the orientation of the nanoblocks which allow the researchers to manipulate the light’s phase. This approach is capable of creating two different kinds of holograms. One is called achromatic hologram, where the entire image reproduced is of one color. The other one is called highly dispersive hologram, where different parts of the produced image are composed of different colors. This new type of holograms may be applied to different applications such as 3D color holograms, achromatic lenses and other optical devices. The researchers are planning on going after these applications in the future.